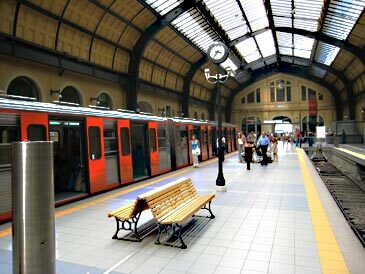 If you have not been there for a few years, you will be surprised to see how the city has changed. 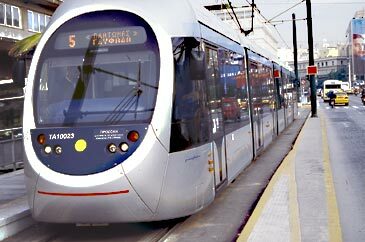 Gone is the smog – still plenty of traffic, but smart new trolley-buses, trams and above all a metro (as spacious, clean and smart as Moscow’s) which serves the airport. 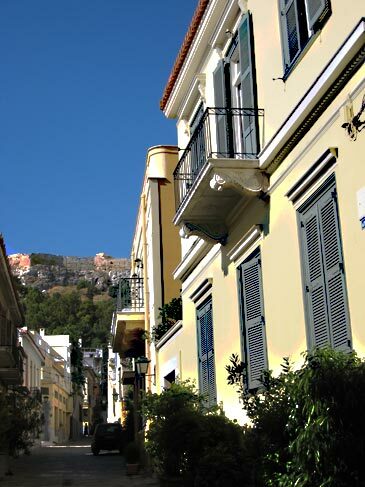 The narrow streets of the Plaka area still fascinate and the views of and from the Acropolis (now with brand new museum) are fabulous. OA from Heathrow, Manchester and Gatwick; easyJet from Luton and Gatwick; BA from Heathrow. Pedestrian areas have expanded greatly, making boutique shopping and al fresco eating and drinking less hazardous; indeed open-air eating is one of the joys – you can often have lunch outside even in January. Good centre for day excursions by coach and boat. 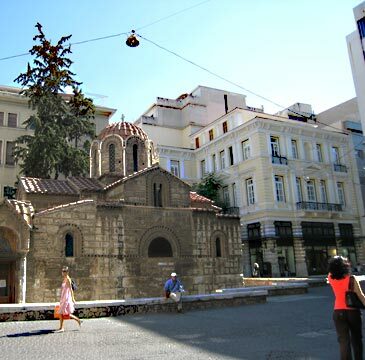 Terrific choice of restaurants – the Psirri area is the place to go now, rather than the Plaka. 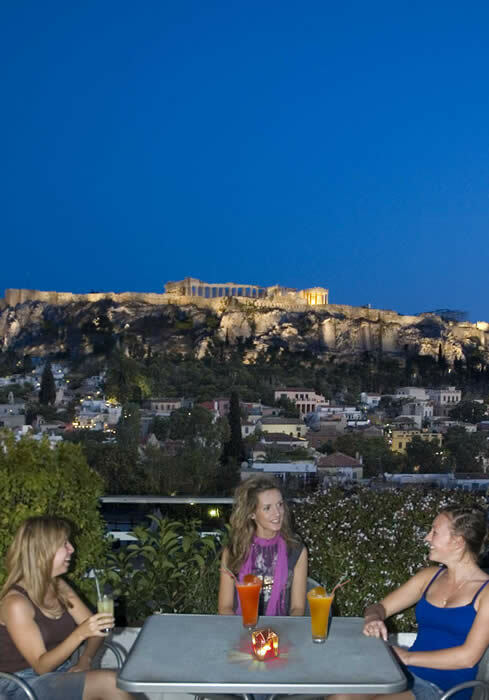 Athens has become as pleasant as most Euro capitals – and sunnier than almost all. 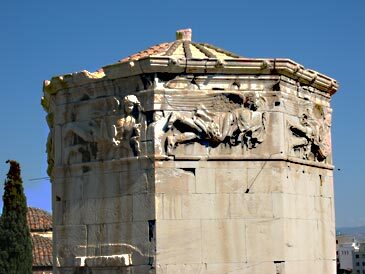 Watching the Greeks – just as they watch you – can be fun. The traffic can still be noisy and slow. The waiters often seem to have majored in off-handedness but it doesn’t spoil the food (though the chef may already have done so). A wealth of museums, most of them beautifully modernised. 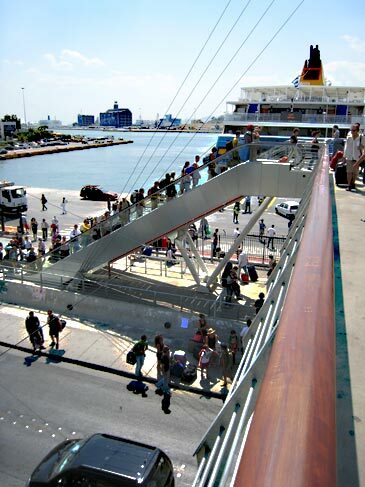 If you tire of palely loitering we can introduce you to a local company who have devised a great variety of imaginative activities, ranging from tours of Athens on foot (including a 460 BC themed walk led by two actors), by bicycle or minibus with really informative guides. There is an unusual trip to the ancient silver mines at Lavrion; cycling, walking and hiking on Mt. 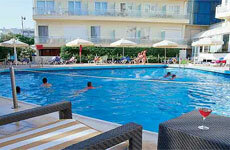 Hymettus; and even bungy jumping, rafting and canoeing in various locations within easy reach of Athens. 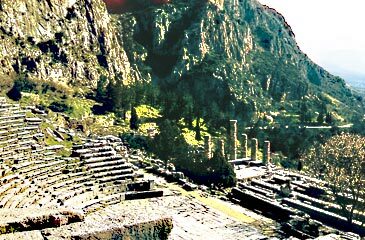 Delphi is easily visited from Athens. 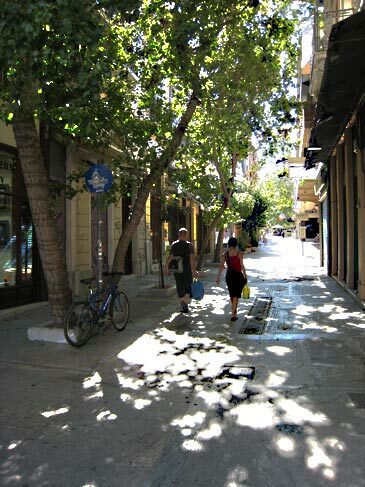 Shady street near Monastiraki, a few steps from Ho.Plaka. Offers a stunning panorama across the city. Roof-top restaurant "Grand Balcon" features a stunning American Buffet Breakfast and the view from the open-air pool (not winter!) is equally fine. Downstairs there's a cosy bar and spacious reception area. The hotel is still family owned and it shows. The centre of the city is easily reached on foot, though the climb back can be a bit daunting on a hot day (the hotel minibus can save you!). Note that prices in Jul/Aug are lower than at other times. Cat. luxe; air-con, Sat TV, phone, hair-drier; B&(Buffet)B. Two hotels under the same management. 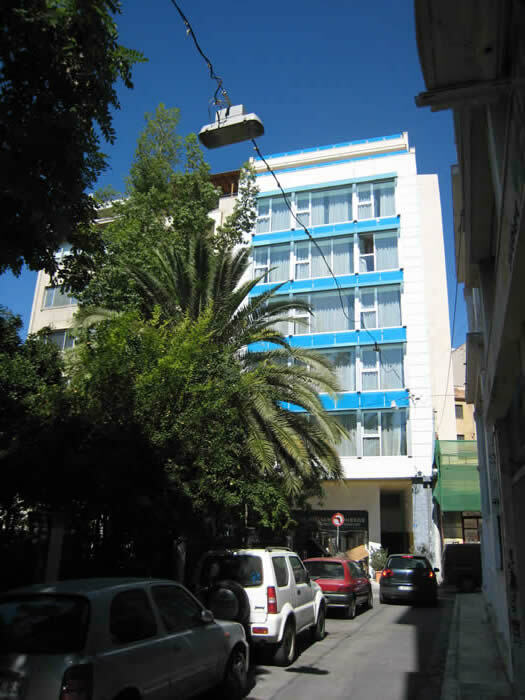 The Arion is an unusual and attractive art deco hotel of 51 rooms on a quiet small square in the Plaka/Psirri district, just off Athenas Street running from Monastiraki to Omonia Square. 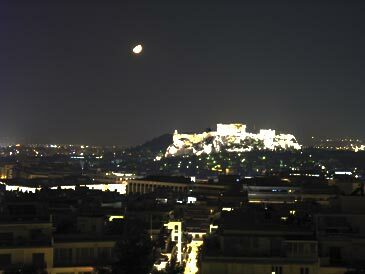 It has a wonderful view of the Acropolis from the roof terrace. 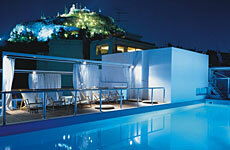 The Achilleas, with 34 rooms, is only a short distance from Syntagma Square and is right on the edge of the Plaka. *** Air-con, TV, fridge, safe-box, hair-drier. B&B. These are two more hotels under the same management. 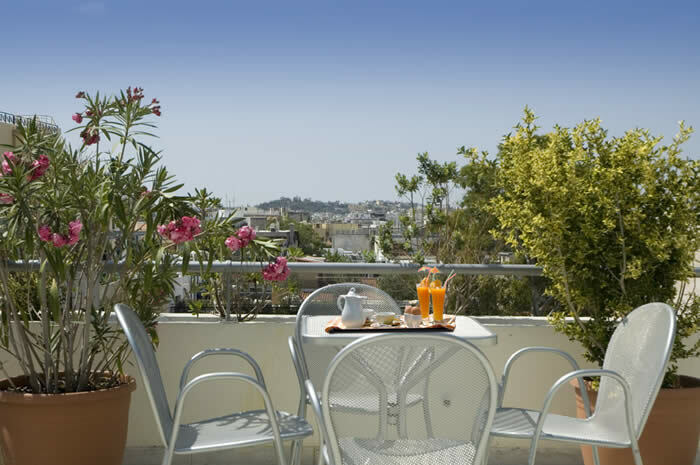 Just moments away from Monastiraki metro station and almost as close to the ancient agora, the hotel has a stunning roof terrace with wonderful views of the Acropolis. 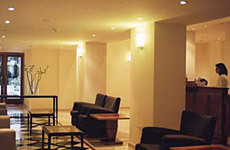 This recently renovated hotel of 54 rooms is equidistant from Monastiraki and Omonia metro stations, so very convenient. 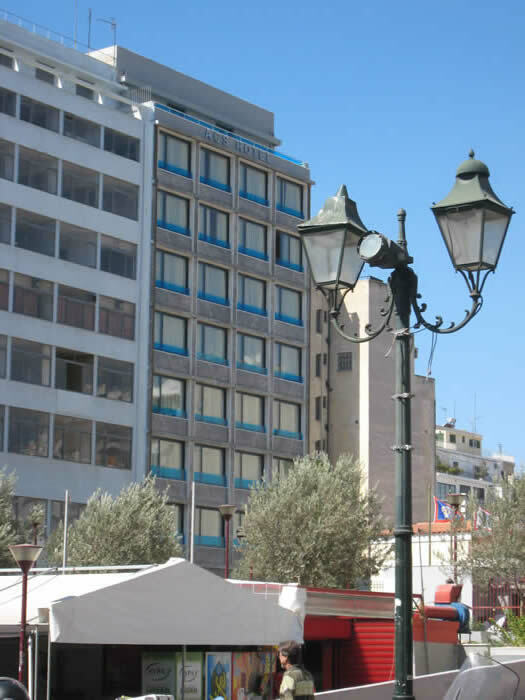 It overlooks the bustling fruit market and is just across the road from the fish market, within which you can track down one or two traditional tavernas - no frills, but excellent food. There are panoramic views from its roof. *** Air-con, free WiFfi, fridge. TV. If economy is needed we offer the Blue Sky, quietly set in a leafy area of Glyfada, a seaside resort on the western edge of Athens. Family run, this is clean and friendly, with a bar and breakfast room. Cat C. Air-con, phone, TV; RO. On the coast road just north of the centre of Glyfada (smart shops and restaurants). 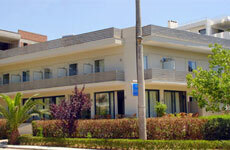 It has a large pool and well equipped rooms. There's a restaurant and poolside bar/café. Buses - and now trams - stop outside for the city, the well tended beaches to the south and beyond them (round the southern slopes of Mt. Hymettus) the airport. Cat A. Pool, air-con, TV, phone. B&B.